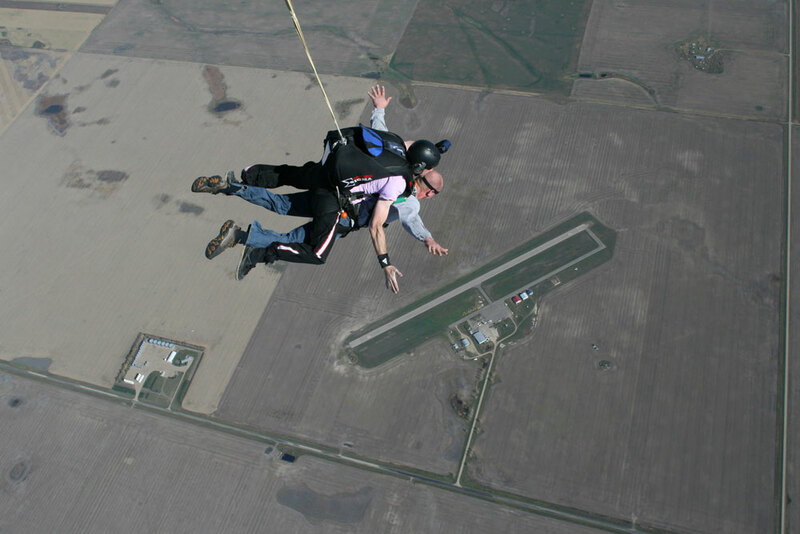 Tandem skydiving allows a passenger to make a skydive with an experienced Tandem instructor, jumping from an altitude of 7,500 or 10,500 feet above the ground. It is an excellent introduction to the sport, yet requires a minimal amount of preparation time. The day of your scheduled jump, you are required to be at the drop zone on time to fill out paperwork and receive a pre-jump briefing. Utilizing a dual harness and an oversized parachute built to carry two people, the Tandem system is designed for a instructor/passenger combination. The passenger wears a custom-fit harness and is securely attached to the instructor at four points. 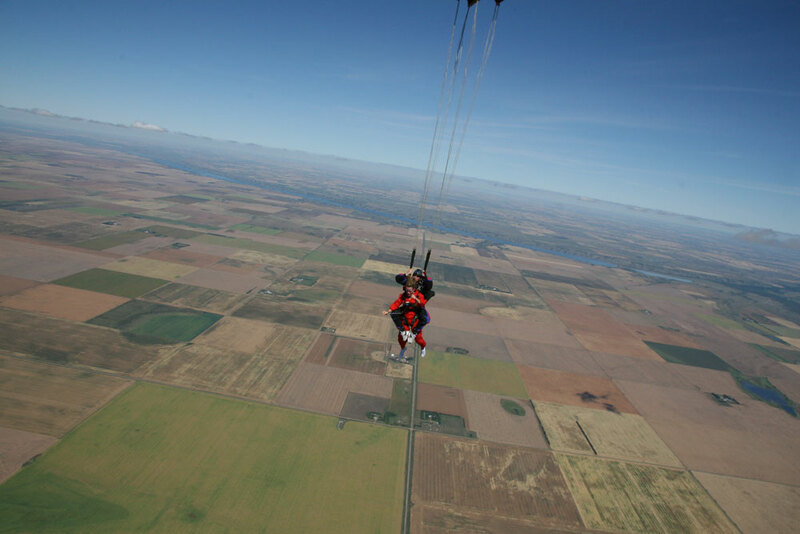 The instructor wears the Tandem harness/container system that contains the specially built main and reserve Tandem parachutes. You will spend about 45 minutes with your tandem instructor. In that time he will introduce you to the tandem equipment, explaining all the parts of the equipment to you. Then we will walk through the skydive from start to finish explaining how we will be hooked up, how we will exit the aircraft, what is required in freefall, how to read your altimeter, how to deploy the main parachute, how to maneuver the parachute once open, and how to land safely. Once the briefing is complete we will gear you up and it is off to the aircraft for your ride to altitude. In the aircraft we will review the hookup procedure and verbally walk through the skydive once again. When we are close to altitude we will hook up and prepare to exit the aircraft. Once we leave the plane we will have about 20 seconds of freefall before we deploy the main parachute. Under parachute decent you will have about 5 minutes to enjoy the view and to practice controlling the parachute as you were briefed prior to the jump. 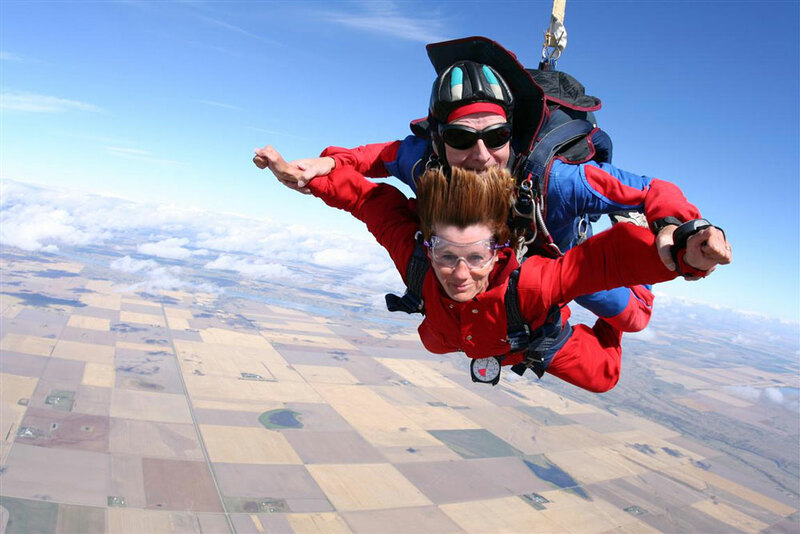 Your involvement in the skydive can be as much or as little as you like. Since the Tandem instructor can control all aspects of the skydive, the passenger is free to enjoy the exhilaration of the freefall and the peaceful decent under canopy. Utilizing a dual rip cord and steering system, the passenger can take an active part in deploying the parachute as well as steering it once the canopy has opened. 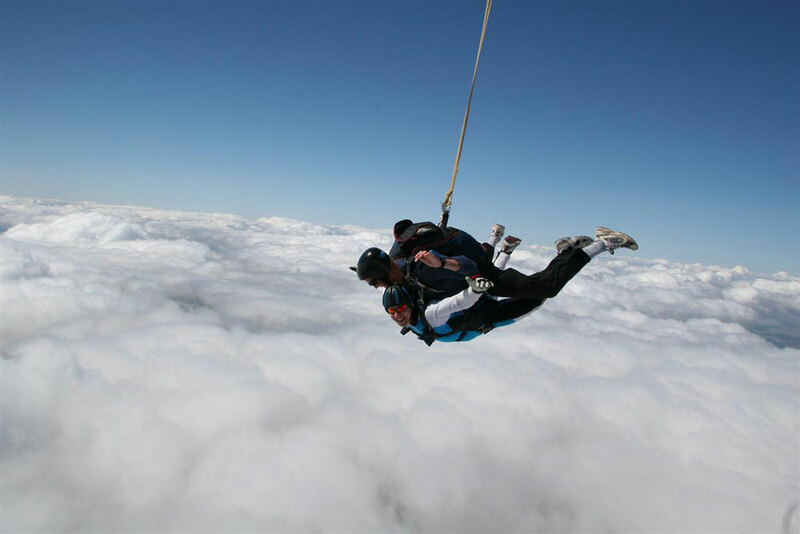 The tandem skydive is not merely a joy ride, it can and is a very good learning experience for the Tandem Student. Once you have completed your jump and decided that skydiving is something that you would like to pursue, you would then take the first jump IAD course and proceed to becoming an active skydiver. 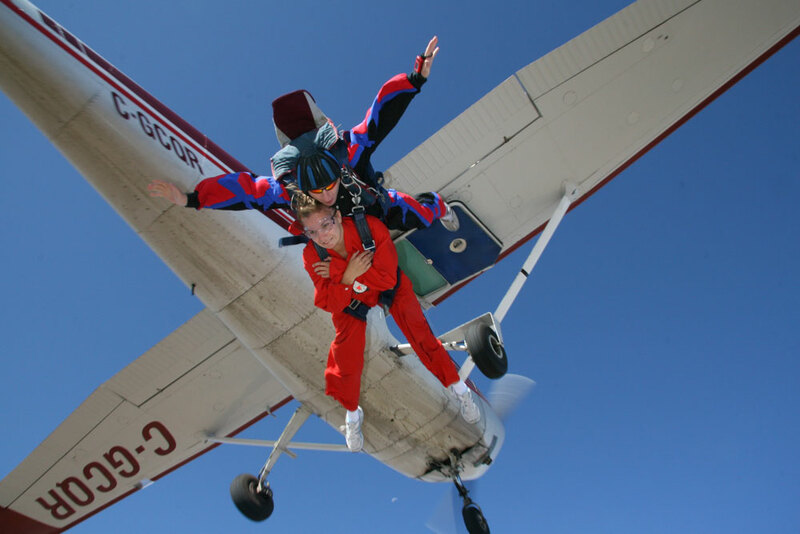 If you wish to do another Tandem jump, Tandem jumps are at the full price.